We supply thermal, acoustic and fire protection insulation as well as drylining and cement based products to the private, DIY and trade customers across the UK and the EEC. All our products are ISO Certified and come from recognized UK manufacturers: Kingspan, Celotex, Promat, Cembrit Knauf, Rockwool and more. 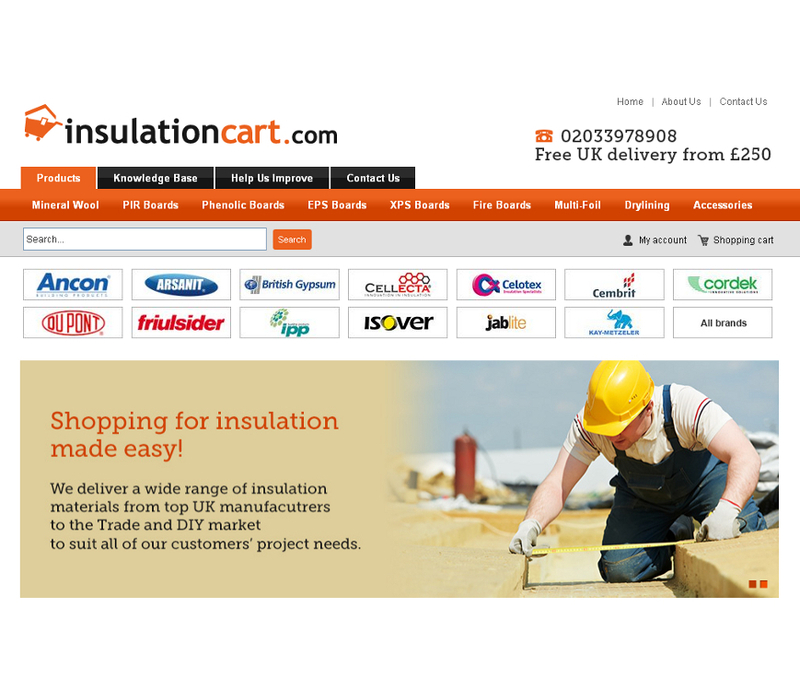 Our aim is to provide highest quality products at competitive prices product expertise, and excellent customer experience in order to make online shopping for insulation fast, easy and secure.